School Days on Macon Street! — Mark Supik & Co.
School Days on Macon Street! 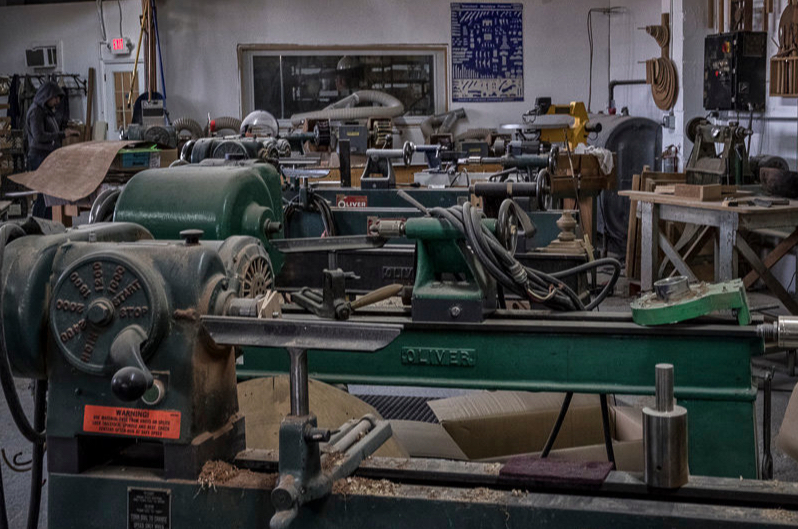 This weekend we'll re-open the Mark Supik Woodturning Workshops in our new location at 1200 N. Macon St.. Thanks to Robert Sullivan of Working Photography for this photo of the Oliver lathes. You'll be seeing more of his photos on our new website and in future posts. Sunday's Bowl Turning class is filled, but we still have one space left in the Right Start class for Saturday, so contact us if you are interested. Here's the updated spring workshop calendar. Older PostOur Sign is UP!